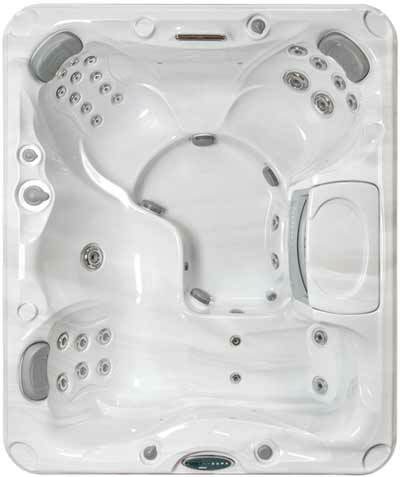 Designed in our best-selling size and shape, and at 33 inches high, the Montclair™ spa may be the easiest entry-and-exit spa in the line. Its long, narrow footprint fits right into rectangular yards or patios. With seating for four adults, that includes the Accu-Ssage™ therapy seat, the new Montclair is a perennial favorite. It has all the standout features of the Sundance 780™ Series: patented Fluidix™ hydrotherapy jets, MicroClean® filtration, and multicolor SunRay™ LED lighting with illuminated air controls for easy adjustments, even after dusk. Your backyard. Your lifestyle. Count on a Montclair spa to fit into both.